Welcome to American Insulation, your source for professional insulation and other products for the home. Builders, contractors and homeowners throughout the Monrovia, Alabama area depend on us for a variety of products. And we are proud to serve them. We install insulation, custom glass shower doors and enclosures, mirrors, closets and shelving, bath accessories and door hardware in new and existing homes as well as at commercial sites. Let American Insulation help make you more productive and more efficient. We are committed to offering the best insulation products and services in Monrovia, Alabama. Whether you’re a contractor or a homeowner, we can help you with all your insulation projects. Adding insulation can benefit residential and commercial buildings by helping cut energy costs and maximize efficiency. Insulation can help enhance the energy efficiency and overall comfort of your Monrovia home. We have the experience and expertise to help you choose the ideal insulation material for your residential project. We also offer quality insulation products and services for your commercial building in the Monrovia, AL area. You can rely on our team of professionals to meet all your commercial insulation needs. We offer a variety of other services and products to ensure your Monrovia, AL home stays looking great and functioning at peak efficiency. From simple sliding doors to the most complex designs, we offer a variety of shower doors and enclosures to meet your needs. 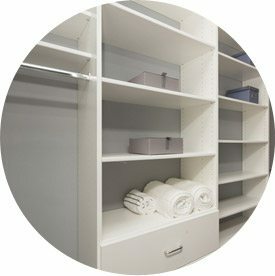 From design to installation, we offer solutions to help you get and stay organized. American Insulation can design and install mirrors for any room in your home. From standard sizes to custom cuts, we do it all. American Insulation carries a wide selection of bathroom accessories and hardware, including towel bars, toilet paper holders, toothbrush holders and soap dishes. We offer gas and wood burning fireplaces from top manufacturers in the industry. The team at American Insulation wants to make your life easier and your home or commercial building more comfortable. We have the experience and expertise to help you choose the ideal insulation material for your specific project. When you choose us for your insulation needs, you can rest assured you’re in great hands. To receive a free quote or schedule services in Monrovia, Alabama, contact us online today!